This illustration depicts a three-dimensional (3D), computer-generated image of a number of rod-shaped, drug-resistant, Shigella sp. bacteria. The artistic recreation was based upon scanning electron microscopic (SEM) imagery. 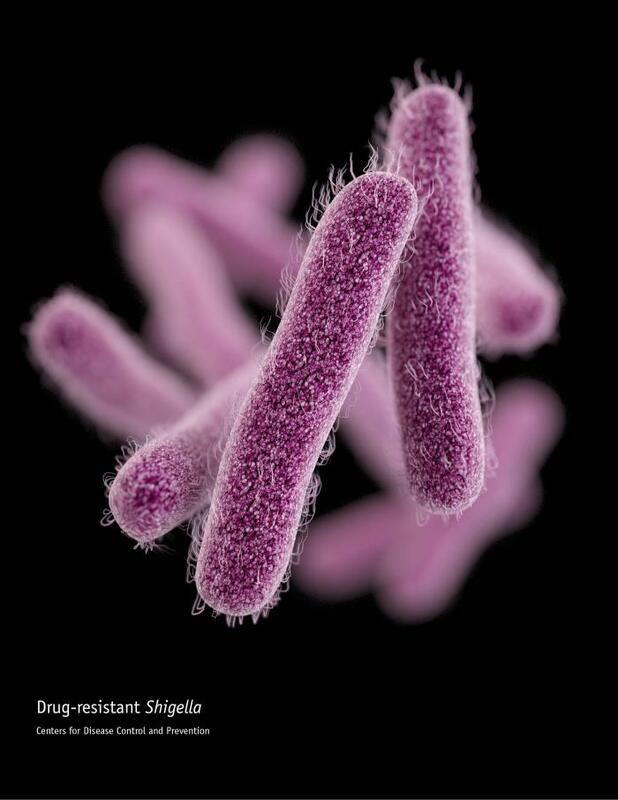 Note that the exterior of the Shigella bacteria is fimbriated, covered by numerous thin, hair-like projections, imparting a furry appearance. See PHIL 21920, for another, closer view of these bacteria.